When it comes to getting through any sort of crisis situation, you’ll need to plan ahead carefully. If your living circumstances have suddenly changed for the worse, this can involve adjusting your spending habits too. After all, money will be your lifeline here. If you have enough, you can get through any personal crisis with a little perseverance and motivation. Here are some of the many ways in which you can overcome your troubles and push through to a better life in the future. Balance of bank accounts, retirement plans, etc. Total debts from home loans, credit cards, etc. By working out these numbers, you’ll then be able to calculate how much spare cash you have available and how much you have to pay off each month. This will then give you solid foundations with which to survive a personal financial crisis without having to struggle for cash. This will give you the means to start off through these challenges with the right capital and assets at your side. 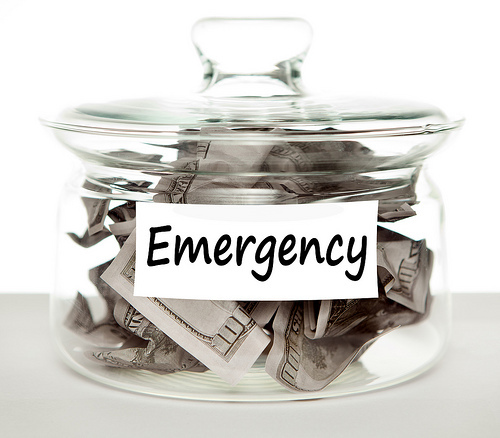 By making the effort here, you can reduce the amount you need to spend and can then free up some funds to help with your emergency expenses. There are times when you can’t free up enough money to cover all your costs. If this is the case, you should think about asking for extra credit from a reputable local lender. The pay day loan is a viable form of quick cash even for those with bad credit. This means that you can find some extra capital even if you’re struggling with the debts that you currently have. Just make sure that you agree to a payment plan that you can actually afford. Remember that your money might be stretched to the limit so you’ll want to avoid excessive interest rates and outlandish late fees if at all possible. You can even take on odd jobs or a casual position to bring in some extra cash. In this way, you can at least boost your free capital by a small amount! Lastly, you should never consider doing anything unless it actually brings positive effects to your life. This is important when deciding how to use your cash. You should simply refuse to spend money on items with no positive benefits. Think carefully about whether or not you’ll actually gain anything by spending money like that. For example, you may wish to buy some treats for the kitchen. If the money you spend is going to cause additional problems later on though, the temporary taste boost you get isn’t worth it. As you can see, it’s entirely possible to get through even the most critical personal crisis. Follow these tips and you’ll have a better chance of improving your situation.